In December of 2006, and after watching the effects of the 9-11 dust on first responders and even rescue dogs for more than a couple of years, I decided it was imperative to do and expose` on the issue of the aftermath of the pulverization of the Twin Towers. The mainstream media was ignoring the issue and the government cronies were doing little more than paying lip service to the increasingly sick and dying hero’s of 9-11: The first responders. Together with many other activists on this issue, we were successful in bringing the plight of the first responders into the mainstream for much needed publicity and help. However, much work is still needed to draw more attention and accountability for the lies of the Bush Regime and the EPA, and to get much needed help for the real hero’s of September 11th. Rudy Guiliani, you are not one of them. In the early days and weeks of the World Trade Center disaster, says Horinko, there was such chaos that mistakes were inevitably made. “Did we rush out (too soon) with data? On balance, I think we used our best professional judgment in an atmosphere where people were clamoring for answers.” But the agency wasn’t trying to deceive the public, she claims. However, a report by the EPA’s Office of the Inspector General released on Aug. 21 states, among other criticisms, that the White House reviewed and even changed EPA statements about public health risks to make them sound less alarming. The report charges that the White House Council on Environmental Quality influenced “the information EPA communicated to the public through its early press releases when it convinced EPA to add reassuring statements and delete cautionary ones.” The report cites “reopening Wall Street” and “national security” as reasons for the spin. The EPA presented “an overriding message that there was no significant threat to human health” even though there was cause for caution, it concluded. “When EPA made a September 18 announcement that the air was ‘safe’ to breathe, it did not have sufficient data and analyses to make such a blanket statement,” said the OIG, adding that the agency was missing data on other pollutants, such as particulates and chemicals like PCBs. In addition, 25 percent of dust samples contained asbestos, a potent carcinogen. Yes, Horinko admits, the EPA did find asbestos in the dust samples. “But the vast majority of the samples we took did not contain it,” she says. 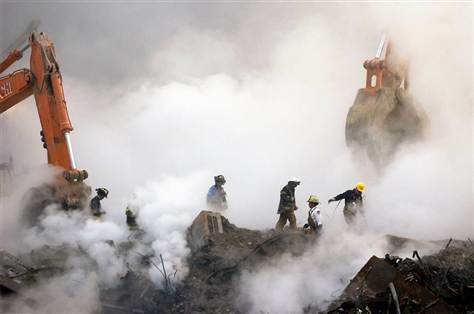 Even though the the building collapses caused the highest particulate count in the city’s history, the tragic event violated no pollution standards. That’s because the air quality regulations were set up to measure particulate matter loadings over 24-hour periods rather than intense, short-term bursts. That is cold comfort to many New Yorkers, particularly those still suffering health effects from exposure to the dust. Some fear that “WTC cough,” sinus problems, headaches and other ailments that Todd and others continue to experience, were worsened by government officials more willing to return the city to normalcy and open the Stock Market than protect public health. Doctors, too, worry the event could spur a rash of asbestosis, cancer and other long-term diseases in the future. “For me, it’s very scary. We lost another firefighter, and that makes one in New York and two volunteers who have died of pneumonia. My lungs are totally shot, and I’m afraid that’s what many of us are going to die of,” says Vincent Forras, a volunteer firefighter who answered the call for help, driving down from South Salem, N.Y., to Ground Zero that clear, blue-skied morning on Sept. 11. But, Forras says, even Mayor Rudolph Guiliani appeared to believe the EPA’s statement and went so far as to stand next to then-EPA administrator Christie Whitman and announce that the air was safe. “When you have someone of the caliber of Mayor Guiliani saying it, they took that as gospel,” says Forras. Not all New Yorkers believed that the smells wafting up from the smoldering remains of the two 110-story office towers were as benign as official pronouncements. Two years after Sept. 11, some downtown New Yorkers are still concerned about the potential toxicity of lingering dust in indoor areas, says Jenna Orkin, of 9/11 Environmental Action, a group formed to address issues many felt literally slipped through the cracks after the disaster when the EPA turned indoor air issues over to the city Department of Health. After Rep. Jerrold Nadler (D-N.Y.) held hearings on the health hazards triggered by the terror attacks, the EPA and city launched a program to clean up people’s apartments, ultimately cleaning more than 4,000 apartments in lower Manhattan. But that program left out the cleanup of schools, offices, workplaces, shops and businesses — and that’s only the beginning of how “wholly inadequate” the program was, Nadler told MSNBC. “The program was limited to an area south of Canal Street, as though there were a Star Trek force field blocking out the rest of Manhattan and other places, like Brooklyn, where we know the toxic plume traveled,” says Nadler. The EPA tested and cleaned individual apartments only when people asked, and generally left out central air systems and common areas. “How can you clean one apartment, and not the one next to it?” Nadler asks. Apartments were tested for only one pollutant: asbestos. The testing method used excluded active testing, which uses a fan to kick up the pollutants lurking in carpets, drapes and corners, unless applicants opted for the most aggressive cleanup, which prohibited the resident from being present (and, some say, discouraged many people from signing up). Jo Polett, who lives 6 blocks from the trade center site, however, insisted on supervising her job, and made the contractor turn on the “active” test fan when he didn’t even know to. With effort, she learned that her apartment was contaminated with heavy metals, such as antimony and lead (with the lead reading five times the EPA’s standard). Had she opted for “testing only” — which tested only asbestos — she might never have found that out. Polett, who speaks softly with her new whispery voice, blames her respiratory problems on the toxic dust trapped in her building’s ventilation system. Yet, because there was no visible dust in her apartment, she never suspected a problem until several months after the disaster. Too late, her home was judged “uninhabitable” by FEMA, she said. “I’m frightened by what other people might also be living with,” says Polett. But the EPA’s Horinko doesn’t think that’s necessary. “We stand by the job we managed in testing and cleaning up people’s apartments,” she says. It’s too soon to say if the World Trade Center attack will have long-term health effects on New York residents, says the OIG report, although there are troubling signs. Pregnant women exposed to air pollution from the World Trade Center attacks, according to a preliminary study released in August 2003, face double the risk of delivering babies up to a half-pound smaller than babies born to women not exposed. Doctors are still treating patients with post 9-11 respiratory problems, says Neal Schachter, a pulmonologist at Mt. Sinai. During the first year, he saw perhaps 15 percent more such patients, but that’s tapering off to between 5 percent to 10 percent more now. “But I still get a steady stream of patients, including new ones,” he says. Schachter also worries about the long-term consequences of the pollution that we have yet to see. “With asbestos, as well as other carcinogens, we’re dealing with silent culprits, that have yet to wind up scarring lungs or causing cancer,” he adds. Francesca Lyman is an environmental and travel journalist and author of “Inside the Dzanga-Sangha Rain Forest” (Workman, 1998). She recently finished a report on the health effects of the Sept. 11 attacks titled “Messages in the Dust,” which will be available online at www.neha.org. 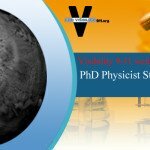 This important episode of Visibility 9-11 welcomes back to the program Physicist Dr. Steven E. Jones. 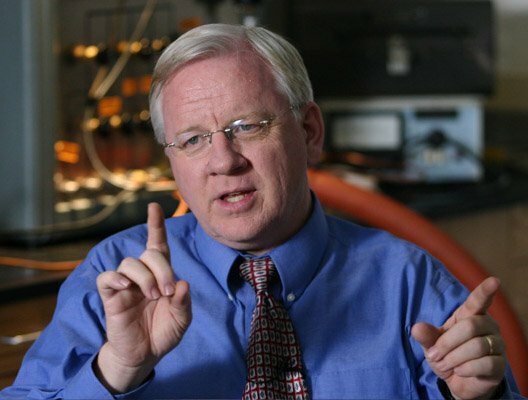 Dr. Jones is a retired physics professor and first emerged in late 2005 with his important paper, Why Indeed Did the World Trade Center Buildings Completely Collapse?, and has continued to do groundbreaking research into the “collapses” of all three high rise buildings on September 11th, 2001. Our talk today with Dr. Jones features an in-depth discussion on a new paper which has been formally published and peer reviewed by The Open Chemical Physics Journal titled Active Thermitic Material Discovered in Dust from the 9/11 World Trade Center Catastrophe. In this revolutionary new research paper, discoveries made in the World Trade Center dust, particularly the red/gray bi-layered chips, are examined in great detail and include evidence of the thermite fingerprint at every juncture. “In short, the paper explodes the official story that “no evidence” exists for explosive/pyrotechnic materials in the WTC buildings.” The red/gray chips are the “loaded gun” of 9-11. Download this important episode of Visibility 9-11 here. Find links to the research paper, these episodes, and watch for other planned interviews on this topic at our Visibility 9-11 Special Report, The Thermite Fingerprint; The Loaded Gun. In this the 3rd of our series on the 9-11 Dust, Visibility 9-11 welcomes to the program John Feal, president of the Feal Good Foundation. One week after September 11th, Christie Todd Whitman stated that, “Given the scope of the tragedy from last week, I am glad to reassure the people of New York and Washington D.C., that their air is safe to breathe and their water is safe to drink.”, even as the EPA had information to the contrary. In fact, the 9-11 dust was extremely caustic and in August of 2003, the EPA issued a report showing the changes the Bush administration made to the initial cautionary statements which were originally meant to warn the public of the dangers in the dust. These warnings were changed to reassurances and the public never heard the truth. These lies have resulted in thousands of people getting sick from breathing the toxic dust, and now, over 5 years later, they are dying. If you think our own government isn’t capable of deliberately killing its’ own citizens, think again. Soon after 9/11, our guest John Feal (a US Army veteran) started experiencing serious respiratory problems, a condition they now call “The World Trade Center Cough.” He spent two months in the hospital while he battled with a host of health problems. Because of an arbitrary exclusion in the law, Feal, like many search and rescue workers who were injured during a two-week window at Ground Zero did not qualify for the 9/11 relief fund. Like thousands of others, John risked his own life to save others, but when he became sick and injured, he was abandoned and forgotten. 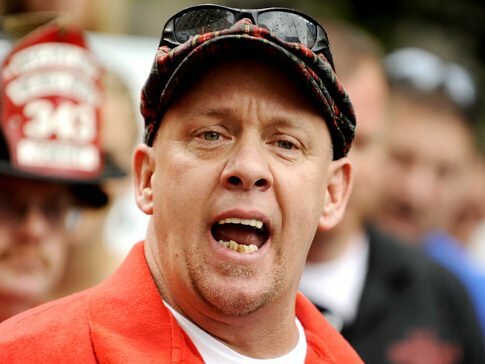 Since 2003, John has acted as a leading advocate for 9/11 heroes who where denied both the benefits promised by the federal, state, local governmental and the charitable aid collected on their behalf. John is also a former board member of Unsung Hero’s Helping Hero’s, a not-for-profit raising awareness of the plight of 9/11 responders. In addition to assisting 9/11 workers as a whole, John has been active helping Ground Zero workers on an individual basis with administrative issues and by helping first responders get media coverage. Direct Download this episode of Visibility 9-11. 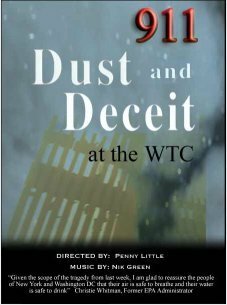 In this the 2nd of a 3 or 4 part series on the 9-11 Dust, Visibility 9-11 welcomes to the program Penny Little, producer of the new 9-11 documentary, 911 Dust and Deceit. One week after September 11th, Christie Todd Whitman stated that, “Given the scope of the tragedy from last week, I am glad to reassure the people of New York and Washington D.C., that their air is safe to breathe and their water is safe to drink.”, even as the EPA had information to the contrary. In fact, the 9-11 dust was extremely caustic and in August of 2003, the EPA issued a report showing the changes the Bush administration made to the intial cautionary statements which were originally meant to warn the public of the dangers in the dust. These warnings were changed to reasurances and the public never heard the truth. These lies have resulted in thousands of people getting sick from breathing the toxic dust, and now, over 5 years later, they are dying. If you think our own government isn’t capable of deliberately killing its’ own citizens, think again. Penny has produced a powerful and brilliant offering to the body of knowledge surrounding the events of September 11th. 9-11 Truth cannot be ignored and the issues of the dust are no exception. Visibility 9-11 highly recommends this film and encourages all listeners to buy a copy and show it in public to as many people as they can get to watch it. Music featured, Requiescant in Pace by Nik Green. Direct Download this Episode of Visibility 9-11 or listen in the embedded player below. In the first of a 3 or 4 part series on the 9-11 Dust, Visibility 9-11 welcomes to the program Jenna Orkin of the World Trade Center Environmental Organization. One week after September 11th, Christie Todd Whitman stated that, “Given the scope of the tragedy from last week, I am glad to reassure the people of New York and Washington D.C., that their air is safe to breathe and their water is safe to drink.”, even as the EPA had information to the contrary. In fact, the 9-11 dust was extremely caustic and in August of 2003, the EPA issued a report showing the changes the Bush administration made to the intial cautionary statements which were originally meant to warn the public of the dangers in the dust. These warnings were changed to reasurances and the public never heard the truth. These lies have resulted in thousands of people getting sick from breathing the toxic dust, and now, over 5 years later, they are dying. If you think our own government isn’t capable of deliberately killing its’ own citizens, think again. Here is yet another shameful example of the dastardly deeds committed by the criminals in charge of the U.S. government and yet one more reason to doubt the official story about what happened on September 11th, 2001. Music selections by J. Guerra. Despite the fact that I have retired from producing the podcast, I still receive 4-6000 downloads a month from people who are still finding this information useful. Current stats show that the podcast has received almost 1.25 million downloads and I still get emails from listeners on a monthly basis thanking me for making this information available. My goal is to keep these podcasts available long past my time here on earth, however, I need your help. Please consider making a donation to keep this website and podcast archives of Visibility 9-11 with Michael Wolsey available.